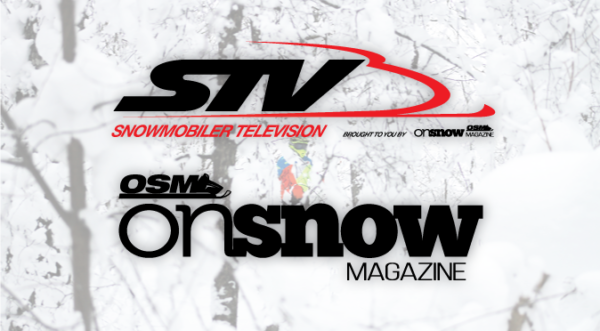 TORONTO (November 1st, 2016): Announced today, Richard Kehoe and Pat Bourgeois of the sport’s largest snowmobile lifestyle publication On Snow Magazine (OSM), have acquired Snowmobiler Television (STV). The acquisition will significantly expand On Snow Media’s reach and offerings giving its partners a multifaceted media program including print, online, consumer shows, and television to effectively reach snowmobile enthusiasts across the snowbelt. The addition of Snowmobiler Television compliments an already robust portfolio, which includes On Snow and ATV World magazines and associated websites, the Toronto International Snowmobile, ATV, & Powersports Show (TISAPS), and the North American International Motorcycle SUPERSHOW (NAIMS). Snowmobiler Television has been a popular program for snowmobile enthusiasts since 1993; delivering a mixture of snowmobile reviews, product evaluations, travel destinations, and industry events. The show is broadcast throughout North America via several local networks including NTV, Global, CTV, CKPG TV, and Wild TV. In addition, the show has a strong presence online with a dedicated website and YouTube channel. This winter will mark Snowmobiler Television’s 18th season and Phil Molto, with his 30-years of media experience, will return as on-camera host. Phil will be joined by a returning cast of experienced riders along with insights and commentary from Bourgeois and other members of the On Snow Magazine team. The first episode of Snowmobiler Television is slated to air on December 28th and will deliver an in-depth look at the latest 2017 models. The show will feature 13 episodes in total, each with a distinct theme or destination. Following each airing the show will also be available online through STV, OSM, and YouTube outlets. THE SPORT. THE LIFESTYLE. FOR SNOWMOBILERS. FROM SNOWMOBILERS. On Snow Magazine (OSM) is the sports only true lifestyle publication that delivers bold, fresh content; stunning production quality; and targets a unique blend of traditional and non-traditional snowmobile enthusiasts. Launched in 1986 in Ontario, Canada, On Snow Magazine has quickly grown into North America’s most influential and premiere international snowmobile publication. On Snow Magazine is published five-times in season in the United States and six-times in season in Canada. Snowmobiler Television (STV) has been bringing Canadian snowmobile enthusiasts news, reviews, and insights of the sport to viewers since 1993. The show delivers 13 episodes to local Canadian networks from British Columbia to Newfoundland as well as online via www.snowmobilertv.com, www.osmmag.com, and complimenting YouTube channels. To learn more, or to become a part of our marketing voice, contact OSM Publishing at 905-722-6766, toll free at 888-661-7469 or drop them an email at info@osmmag.com.